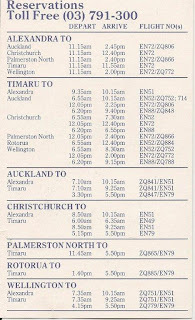 In May 1989 Arthur Ecroyd, Kevin Dore and Mike Pero established Airlink Services (NZ) Ltd and applied to the Air Services Licensing Authority to conduct a Category "B" air transport service between Christchurch and Timaru and return, and Christchurch and Oamaru and return, with one Piper Pa31 aircraft. 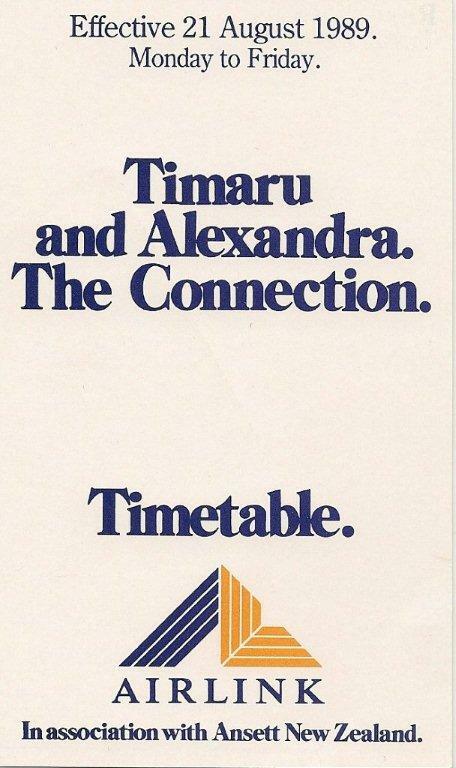 Operating under the name, Airlink, it was, in the event, Timaru and Alexandra that the company serviced, the operation being linked with Ansett New Zealand flights in and out of Christchurch. 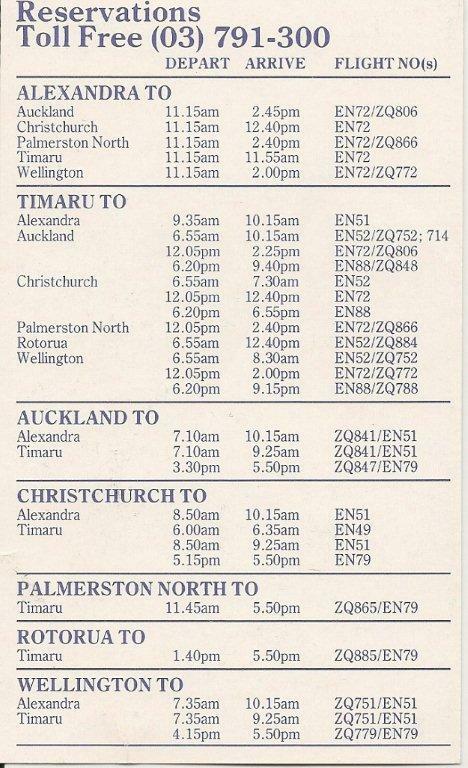 The timetable was designed to enable Timaru business people to connect to Ansett flights to allow a full day in Wellington and Auckland as well as enabling Auckland and Wellington business people to spend a day in Timaru. Using Piper Pa31-350 Navajo Chieftain, ZK-FOP (c/n 31-7405227), the first flight, which was more a positioning flight, left Christchurch for Timaru at 6.00am. The return flight arrived in Christchurch to connect with early northbound Ansett flights at Christchurch. The second southbound flight flew to Timaru and then on to Alexandra returning on the same route. In the late afternoon there was another return service to Christchurch. At that time Ansett New Zealand was in the process of expansion and developing its own co-ordinated feeder network which were eventually operated under the Tranzair and later Ansett New Zealand Regional banners. 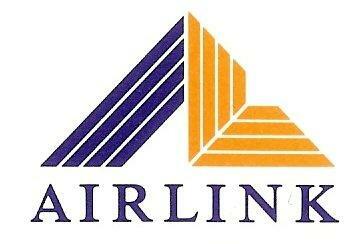 Airlink was the third feeder service to be set up. 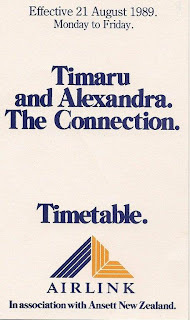 Company officials were confident that the service had a bright future but their optimism was thwarted on the first day of service, the 21st of August 1989, as thick fog forced the cancellation of the first Christchurch-Timaru-Christchurch flights. Speaking to the Timaru Herald company director, Kevin Dore, said “Bookings for the first flights were light but this was to be expected this early in the company's new service. Forward bookings looked more promising and reaction from the inaugural passengers yesterday was good.” A few days later the Airlink announced it was looking at the possibility of flights between Christchurch and Greymouth but these did not happen. Despite being linked to a major carrier the service never really took off. On the 3rd of December, only 15 weeks after getting airborne, the company announced its decision to terminate operations due to a lack of patronage, their final flight having been flown the previous two days before on the 1st of December 1989. Kevin Dore told the Timaru Herald that there were times when the aircraft was full, but normal loads were of only two or three passengers. Two receptionists and three pilots lost their jobs as a result of the closure. ZK-FOP photographed at Timaru on your blog has the year as 2010? Oooops... the date has been fixed. Thanks for that!